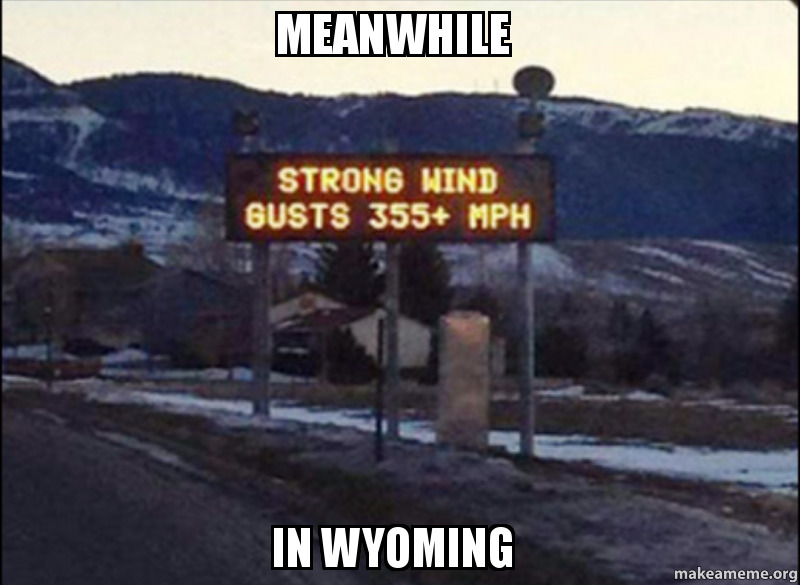 Nobody knows wind like the people of Wyoming. So, of course, they make fun of it by posting memes on the internet. Here are some of the best what we could find at the end of 2018. Click the links and enjoy. 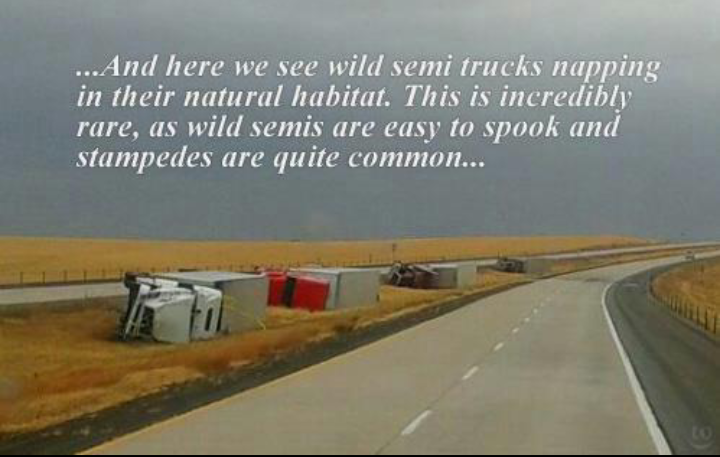 When the interstate sigh tells you the wind is going faster than any car can go. 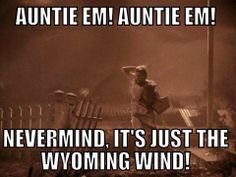 Dorthy from The Wizard Of Oz did not know wind like we know it. Even Forest Gump knows about Wyoming wind. Those are the winners from 2018. Here are the winners from last year. 1). How about the "Being Out Side In Wyoming," meme? That's a good start. 2). The classic "Expectation VS. Reality," meme. These always get a good laugh so have another, on the house. 3). How about a "Wyoming Weather Report" using a long hair dog? 4). From the Pinterest page Weather Memes we have something to hang on to. 5). 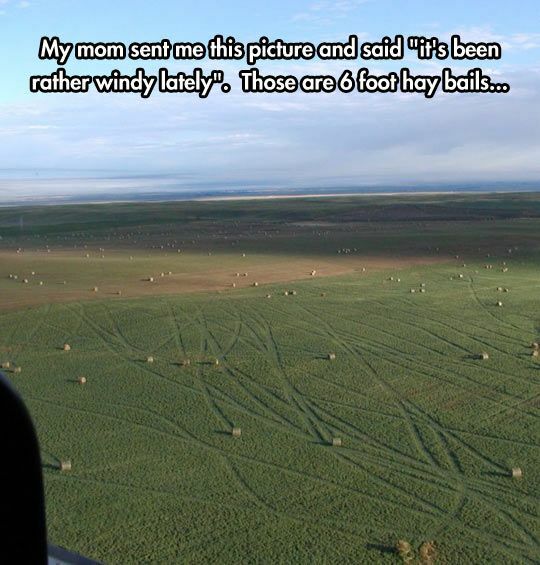 Finally, hay bails that have been rolled by the wind.